With lower back pain one of the leading causes of disability and lost time worldwide, over 80% of the population and 50% of working Americans may experience symptoms at one time or another. Dr. Varveris and the team at PhysioNetics in Naples, Florida believe that the least invasive treatment is the place to start, breaking the cycle of recurring pain and reducing the need for pain medication. How is back pain assessed? Dr. Varveris uses the Valedo®Shape spine assessment tool. This is a non-invasive, no-radiation method of measuring the components of the spine. It gives a 3-D visualization of the spine itself and its flexibility. Not only a diagnostic tool, the ValedoShape assists in the creation of individual treatment plans as well as progress monitoring. 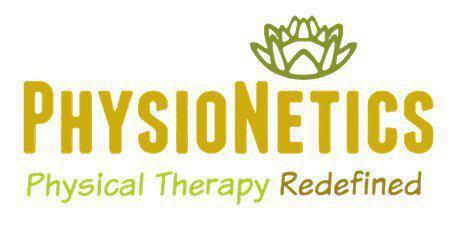 PhysioNetics is the only Southwest Florida clinic using this groundbreaking tool. The ValedoShape tool is a spine assessment tool that measures the relationship of vertebrae and suggests treatment for underlying back pain conditions including degenerating or herniated discs, sprains, surgery follow-up and sports-related pain and injuries. It also stores data to show a patient’s response to treatment. There are no side effects and no discomfort for the patient. What treatment techniques does the clinic use? The Schroth Scoliosis Method introduces a conservative exercise-based therapy that lengthens the torso and corrects spinal imbalance. Radial Pulse Therapy targets soft tissue pain, muscle spasms, strains, and sprains. Also effective for tendonitis, bursitis and plantar fasciitis, it’s a progressive and non-invasive treatment option. For patients with fascial scar tissue restricting motion and causing pain, the Graston Technique offers relief using instrument-assisted soft tissue manipulation. This therapy helps those suffering from fibromyalgia, carpal tunnel syndrome and other repetitive strain injuries as well as back pain. PhysioNetics uses Zimmer Class IV cold light lasers that send non-thermal photons through the skin to reach the affected tissue. Through short treatments lasting only a few minutes, the laser can reduce inflammation and stimulate tissue repair. There’s simply no longer a reason to live with back pain. Where once the cure was often more painful than the condition, that’s no longer true. Dr. Varveris and her team gently bring your back pain under control, not only relieving the pain but treating the underlying cause.